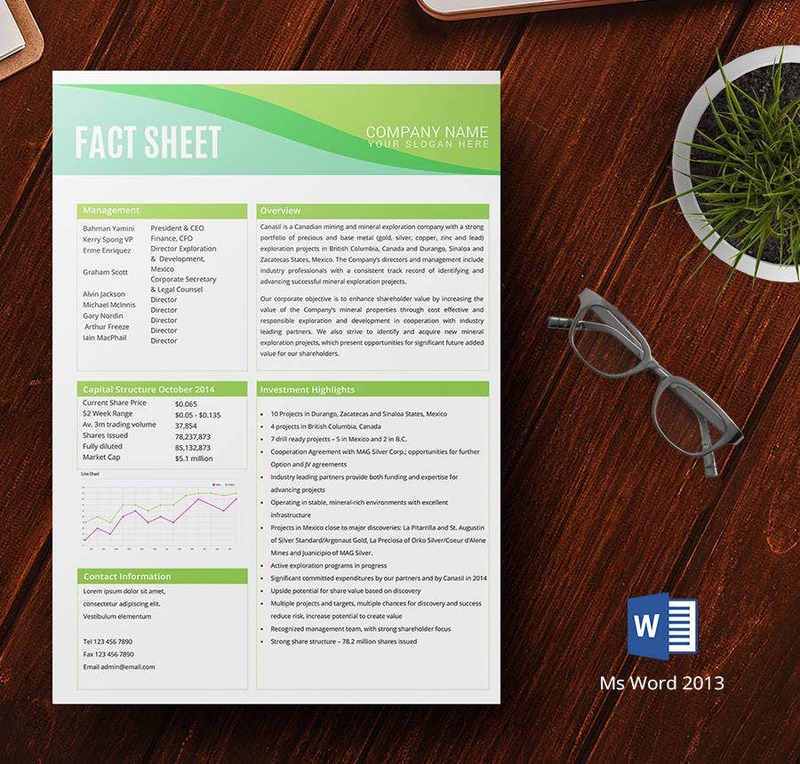 Fact Sheets hold a company’s shareable data (such as technical and product information, statistics, etc.) as a list of the most important points and are distributed for emphasis purpose. Fact sheets are always engaging the material, provided they are woven with that gripping element. Many are interested to know about smoking fact sheets and alcohol fact sheets. Fact Sheets are presented as reversal pyramids-upside down. They cover high-level stuff to less valid points. But how to sort out the importance? These Fact Sheet Templates will tell you that. 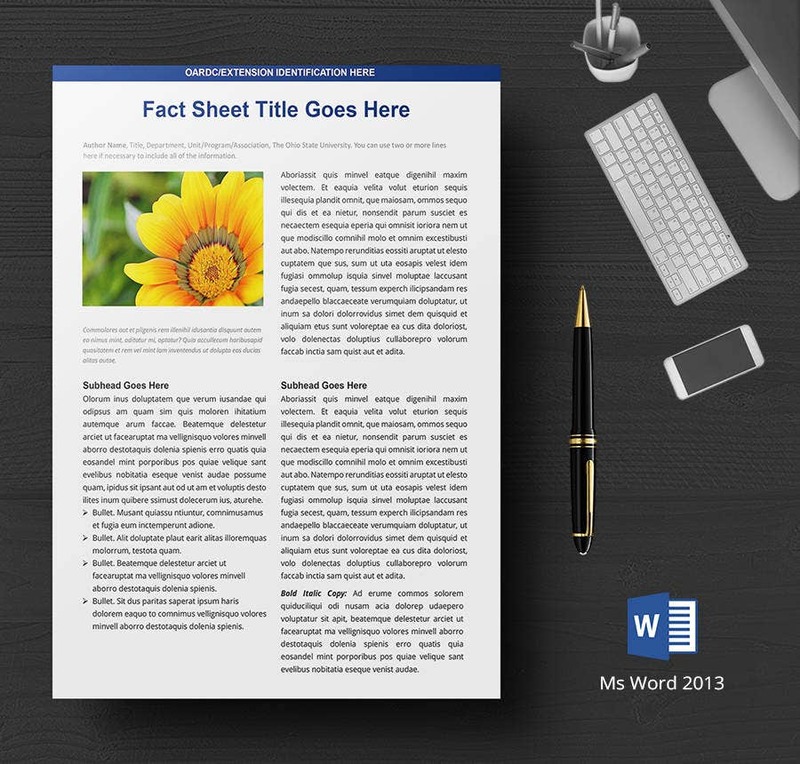 This Factsheet template is full of numerical representations. Those who want to have beautiful pictorial fact sheets with less content or no content can go for this. Color green signals the positive vibes. 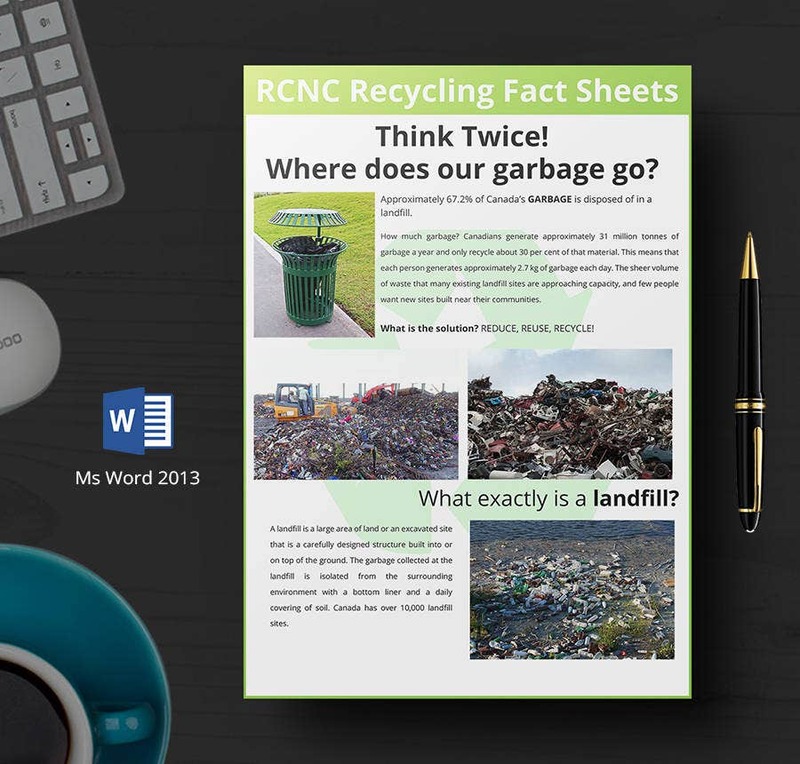 NGO companies and those that promote environmental friendliness can go for this fact sheet. The existing images strongly oppose the usage of polyethylene and other plastic bags. You can swap or change the imagery as per your business. 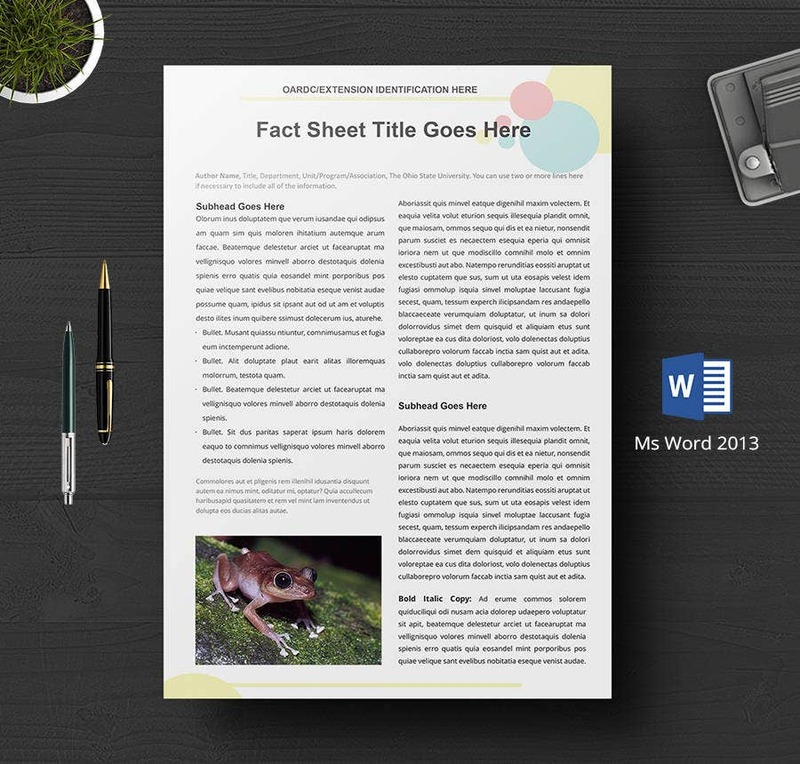 There are damn good reasons to select this template for your debut fact sheet. As a nascent, you first need to introduce yourself, and this particular write-up helps you get well-established in the most appropriate way. How about this fact sheet template for your biodiversity business campaign? It’s a wondtacular prototype that perfectly syncs with all kinds of Word (well, 2016 is an exception). Are you conducting any botanical surveys and looking for the right content vehicle? 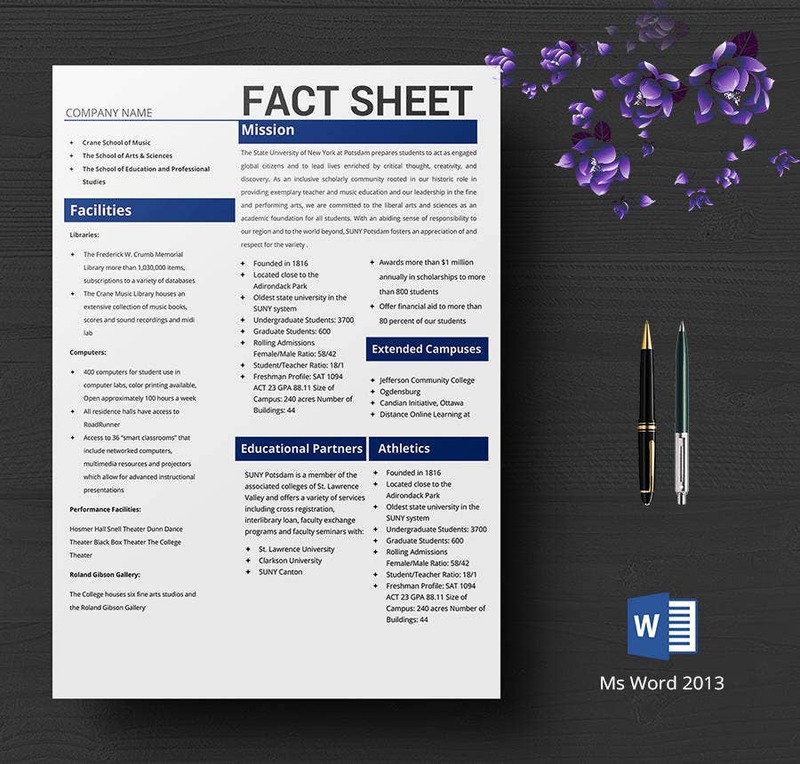 Use this Fact Sheet template for a better reach. 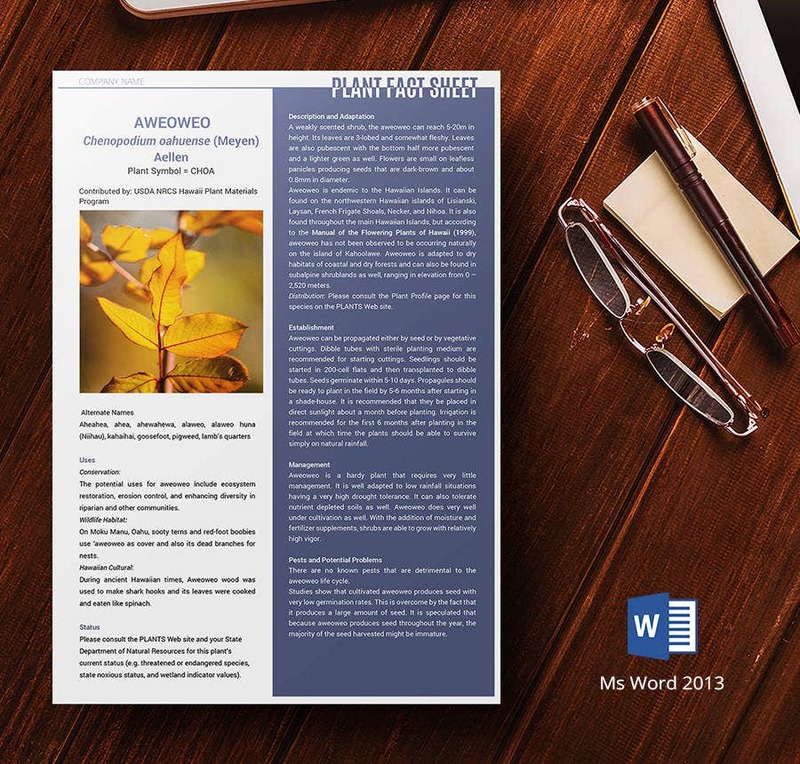 With a single image, the word document seems to be spacious enough to write the whole life cycle of a plant. A picture depicts a thousand words. But one shouldn’t overdo the practice. Especially, when there is a lot to be presented, try to restrict your report to one graph. If you are poor at the know how, use this Fact Sheet template. 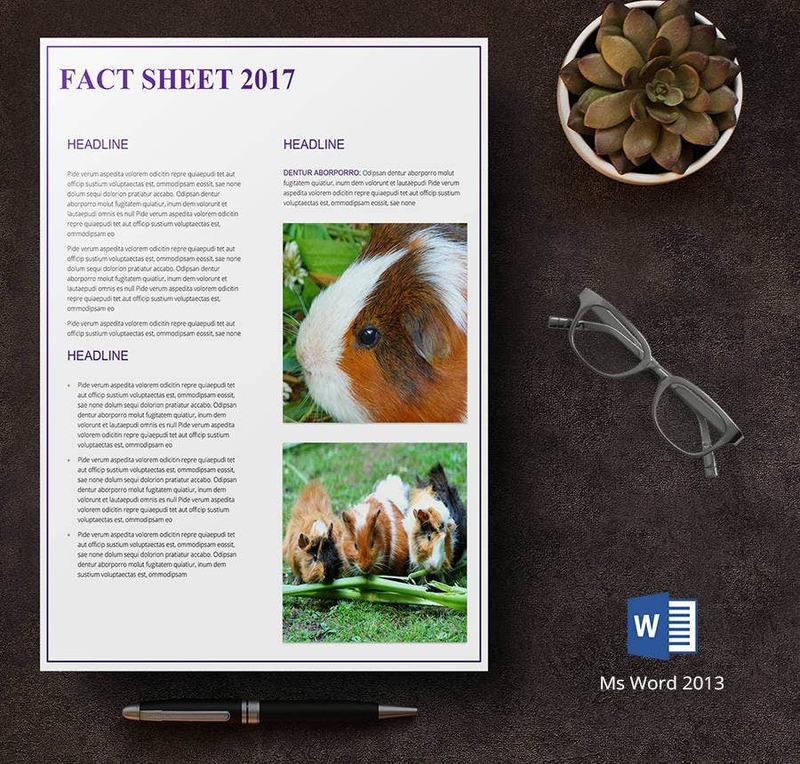 If your fact sheet is something related to the endangered species, then this fact sheet template helps your version pull its weight. Besides, the balanced ratio of images and content makes the template approriate for any industry. These templates are ridiculously easy to use. One need not practice any complex mnemonics to know the process. A basic computer knowledge is what needed to use (edit and apply) these templates. However, we are going to document the steps for the novice readers. Save it with a proper naming convention. For instance, take the first template in the bundle as an example. How many work hours do you need to draw the infographics? How much brainstorming does it require? Having said that our sheet templates are ready to use ones, you can save a lot of time and effort in that context. The one-pagers restrict you from providing exceeding information. Also, you have multiple templates to choose from, and this gives you the flexibility to select various ones for different requirements. 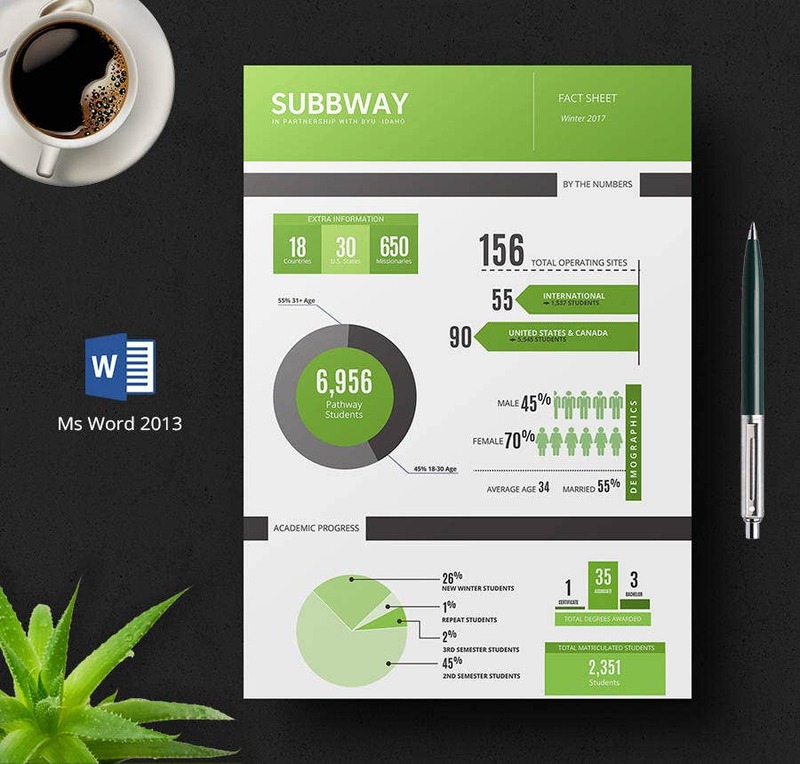 You can easily convert the templates to any other format that supports Word. Hurry! It’s raining Fact-sheet freebies. Stop shooting the breeze and avail the offer.